God could easily be asking America today the same questions of “Where are you?” and “What is this you have done?”—perhaps for the purpose of seeking Americans to be accountable for our sinful conduct, and waiting patiently for us to confess our sins as a nation in order that we would once again become pleasing in His sight. It seems highly probable that only if we turn back to God and seek His guidance will God be inclined to heal our nation from the problems which are compounding themselves daily in America. How can America possibly expect God to ever bless our nation again, when we continue to increasingly, and willfully, disobey, defy, and deny God? America seems to be shunning ‘Godly wisdom’ found in the written Word of God, the Bible, and expecting instead to somehow survive as a nation into the future by relying strictly on the ‘human knowledge’ of our secular governmental and institutional leaders. This intentional and foolish choice of shutting God out of our schools, public events, public dialogue, and governmental policy-making, is seemingly being led and promoted by all three branches of our United States government. These aggressive attempts to remove God from our American society is placing our nation at extreme risk of ultimate futility in trying to avoid the eventual destruction of America should we ever totally lose God’s blessing upon our country. The constant legal challenges in our courts to push God out of our country and kick the door shut behind Him is manifesting itself right before our eyes on a daily basis as exhibited in the words, actions, and laws spewed forth by a ‘majority’ of our federal and state politicians, judicial courts and anti-God liberal activists. Thank God we still do have some Christian representatives in our government today who are taking a public stance for God, and who still believe in governing our nation by incorporating Godly wisdom into our state and national policymaking. The prevailing atmosphere in our nation today is for a great percentage of radical non-believers to gleefully offend God, denounce Jesus Christ, mock Christians, and suppress Christianity at every opportunity—and this growing faction of our citizenry continues to gain increasing support for their anti-Christian causes starting right at the top of our government with our current president. From there it trickles right on down through our liberal judges, liberal congressional representatives, liberal state governors, etc. Compounding our problems and attempts to keep America a Christian nation is the willingness of our nation’s mainstream press and broadcast news to ‘fan the flames’ of open contempt against God by quickly ‘waving the victory flag for evil’ in their headline news and lead stories every time the biblical ‘Word of God’ is trampled upon by some ‘minority’ factions in our nation—whose only apparent goal in their actions and legal maneuvering is to erode and ultimately destroy our Judeo-Christian national foundation. One of the latest examples of front page news offensive to God is the legalization of ‘gay couple marriages’ inNew York. When I saw the pictures of people making ‘revelry’ in the streets of New York after the governor signed it into law, my thoughts turned to Moses and the scene he was confronted with by the sight of the sons of Israel ‘singing and dancing’ in their camp around a ‘golden calf’ they had compelled Aaron to fashion for them in order to worship that idol as one of their ‘new gods’ after they felt Moses had taken ‘so long’ in coming down from Mt. Sinai. (Exodus 32) When Moses saw the scene before him his ‘anger burned’ and after shattering the Ten Commandment tablets he had brought down from the mountain with him, he said to the people, “Whoever is for the Lord, come to me!” Those who did not gather together on the side of the Lord with Moses soon suffered the consequences for their sinful conduct. Anti-Christian movements in America today are trying hard to blur the difference between right and wrong, evil and good, but with God there is no fuzzy middle ground or grey zone—every person is either aligned with God or against God. It now sadly appears that a greater number of Americans have chosen to follow ‘new gods’ rather than the one true God. As with the sons of Israel waiting for Moses, perhaps some Americans feel the Second-Coming of Jesus Christ has taken ‘so long’ that they have decided to follow their own sinful hearts and turn their backs on God. These people will ultimately suffer the consequences for their sinful choices and conduct. We Christians need to ‘pray’ that as many people as possible will make a decision to turn back to God before it’s too late, by placing their belief and faith in Jesus Christ, the Son of God. All Christians who believe in Bible prophecy know that the signs of Christ’s return as found in the Bible are rapidly increasing in frequency and intensity, meaning that the Rapture of the Church (Christians), and the Second-Coming of Jesus Christ, are approaching faster than most people realize. AMERICA—Where are you? AMERICA—What is this you have done? 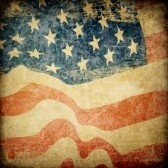 I pray that all Christian Americans will vote responsibly and wisely in the 2012 elections.